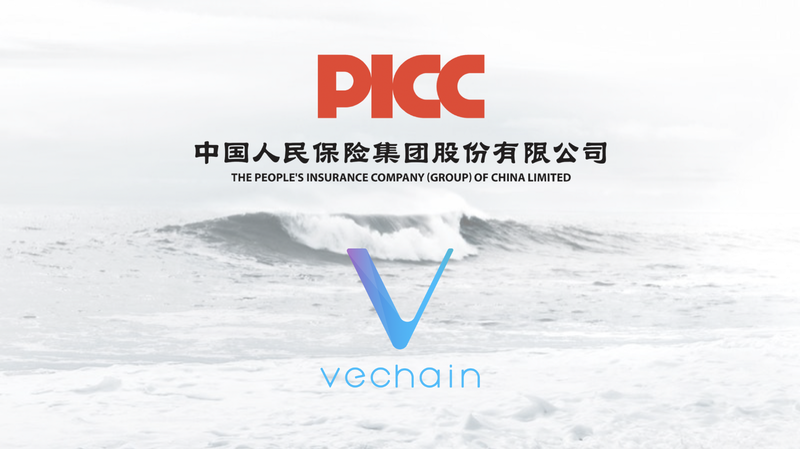 People’s Insurance Company of China (PICC) enters into a partnership relationship with DNV GL and VeChain to bring digital transformation to the insurance industry. Insurance companies use legacy claim management systems that produce overwhelming paper trails on insufficiently validated data that make up the current policy underwriting process. The inefficiencies within data collection, verification, and auditing cause policies to be placed on bad actors leading to price increases on the behalf of all policy owners. PICC believes that blockchain technology can bring digital transformation, resulting in reduced turnaround time, premiums, prevent fraud and improve KYC compliance and claim experience. The realization of advanced IoT devices and smart contracts within this industry will potentially bring “instant compensation” for the companies producing a much more profitable business model. The blockchain solutions designed by PICC come from a partnership with DNV GL and VeChain. These solutions will bring digital transformation across the entirety of PICC. By partnering with DNV GL and VeChain, PICC can provide robust assured solutions that protect user data, distribute ownership, and enhance existing artificial intelligence. These solutions will do so without having to educate PICC’s clientele on blockchain technology while still offering the maximum benefits the technology provides. PICC chose VeChain because of their existing solutions with DNV GL catering to real problems within businesses and governments. VeChain’s use of their public blockchain, VeChainThor, provides enterprises with the tools, securities, and governance to properly control their assets while collaborating across multiple verticals, industries, and even countries. By merging this technology with the assurance services of DNV GL, PICC is set to expand their current offerings, bringing true digital transformation to a now stagnant industry. PICC believes they will derive new competitive advantages for their offerings now assured by DNV GL. VeChain will initially provide solutions for pre-selected use cases that enable PICC to expand upon the base technology. DNV GL’s globally-approved role as an independent third-party assurer for all provisions will aid in the firm’s expansion in blockchain-based solutions. The combined collaborative efforts of this partnership will create new value propositions and onboard existing PICC clients and competitors to a broader collaborative ecosystem that benefits everyone. PICC Property and Casualty Company Limited (“PICC P&C”), a property and casualty insurance company in Mainland China, was established in July 2003 with PICC Group as its sole promoter. The Company’s principal businesses are motor vehicle insurance, commercial property insurance, homeowners insurance, cargo insurance, liability insurance, accidental injury insurance, short-term health insurance, marine hull insurance, agriculture insurance, credit & surety insurance etc., and the related reinsurance business as well as investments permitted under the relevant laws and regulations of the PRC. For further inquiries, please contact us via press@vechain.com.